This gift is thoughtful and useful. 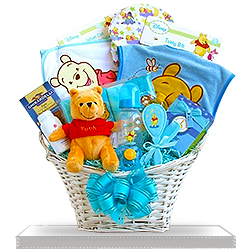 Start with the attractive basket in which all this baby boy bliss is stuffed. It's natural look would fit into any room beautifully. 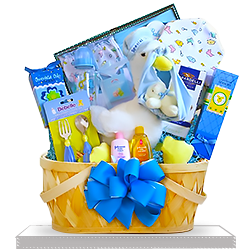 This special delivery basket features a stuffed Big Stork designed in white and blue. 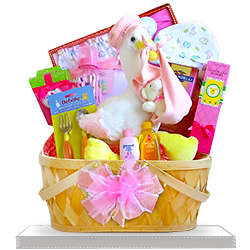 The gift basket also holds shampoo, lotion, two wash clothes, a lovely fork and spoon set, and a baby bottle. For babies soft head, a comb and brush are included. 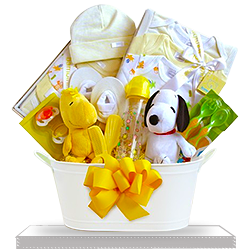 A separately boxed one-piece outfit with bib and matching hat make this gift extra special. A special extra are the sweet treats for mom and dad! My friends were delighted. They raved about EVERYTHING! It is a beautiful presentation with lots of variety. ARRIVED ON TIME AND WAS AS EXPECTED. RECIPIENT REALLY ENJOYED IT. 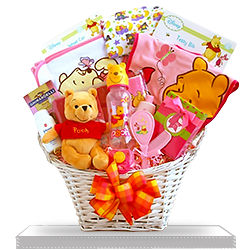 I always order gifts here and never had any troubles with delivery. 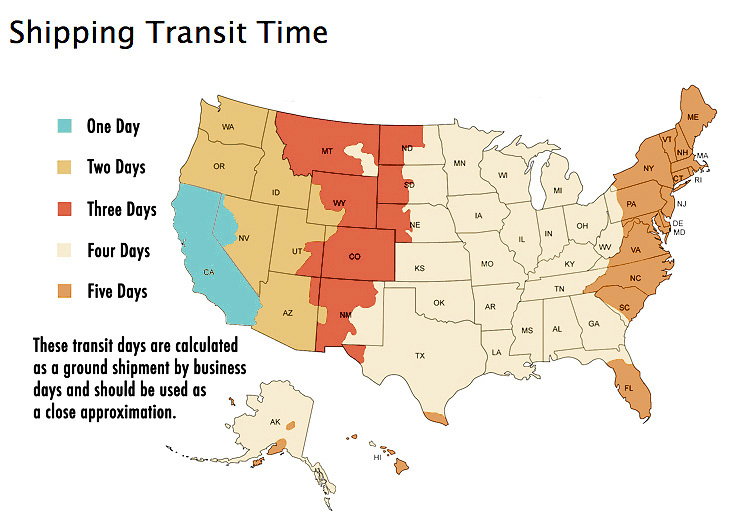 As always it came on time and looked exactly as in the picture. 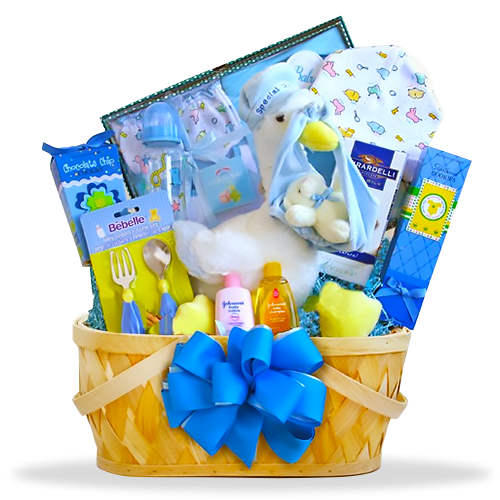 Never ordered baby gifts before but this gift set for baby boy was extraordinarily nice. Looked lovely and had everything for newly made parents. It was a huge hit at my relatives’ baby shower party!